Sony announced three E-mount full frame G Master interchangeable lenses for Sony α (Alpha) mirrorless cameras, including the new Alpha 6300. 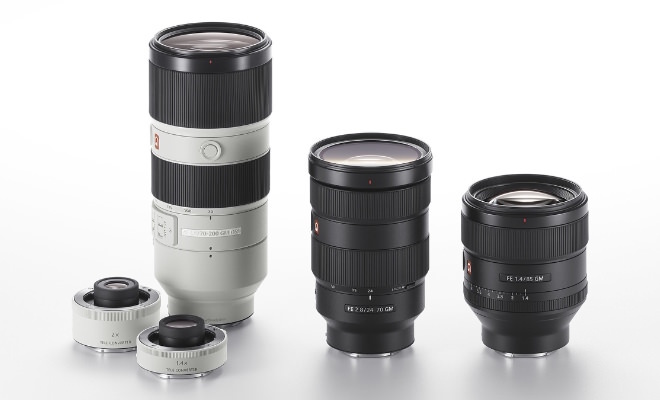 The new flagship lenses include a 24-70mm constant F2.8 standard zoom, an 85mm F1.4 prime and a 70-200mm constant F2.8 telephoto zoom. Each features Sony’s innovative optical element technology, design and calibration. Sony says this allows them to produce still image and video content with a level of detail and expression that has never before been possible. 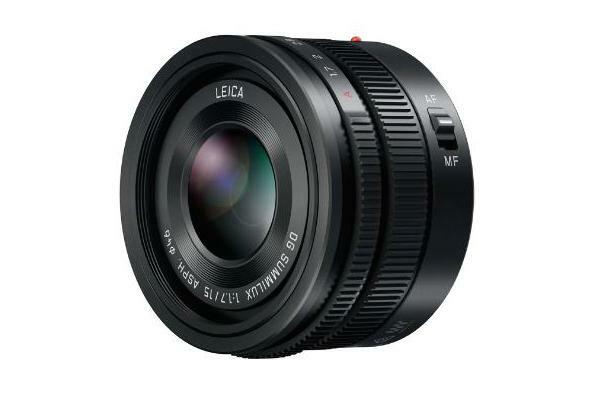 The new FE 24-70mm F2.8 GM (model SEL2470GM) is engineered for portrait, travel and event photography or even simple everyday shooting. It is built with three aspherical elements including a newly developed, extremely precise XA (extreme aspherical) element that reduces aberration and delivers the ultimate resolution throughout the entire zoom range and aperture range, as well as from corner to corner of all image files. Additionally, an ED (Extra-low-Dispersion) glass element and Super ED glass element keep chromatic aberration to a minimum while maximizing resolution and bokeh without any unnatural coloration. It also has a direct drive SSM (Super Sonic wave Motor) focusing system that positions the lens elements quickly and accurately. The motor is smooth and quiet, making it an ideal choice for shooting both still images as well as movies. 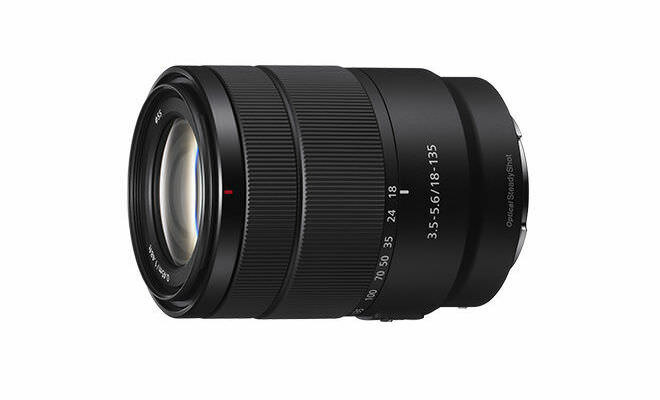 Designed as the ultimate portrait lens, the new FE 85mm F1.4 GM telephoto prime lens (model SEL85F14GM) aims to strike a perfect balance between resolution and bokeh in a compact package. 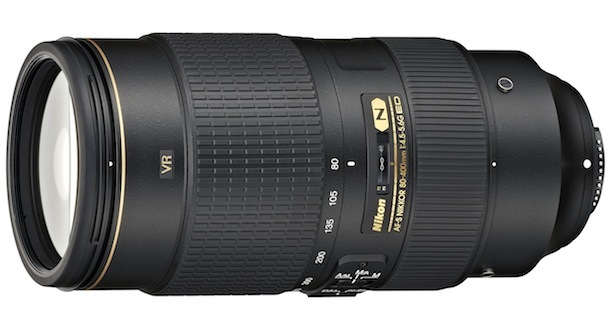 The new telephoto zoom lens (model SEL70200GM) offers extremely high rendering, AF performance and image stabilization, making it a versatile choice for shooting wildlife, sports, weddings and a variety of other events and locations1. 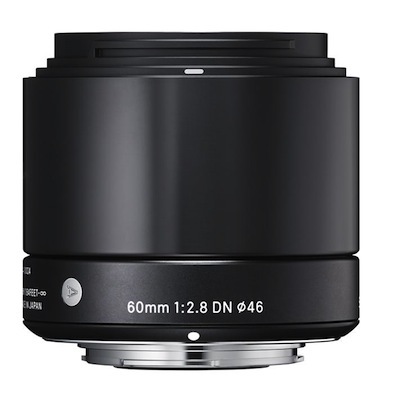 Sony’s new flagship telephoto zoom lens claims to deliver sharpness and clarity throughout the entirety of its zoom range thanks to its three advanced lens elements including XA, Super ED and ED glass components, as well as its Nano AR coating. 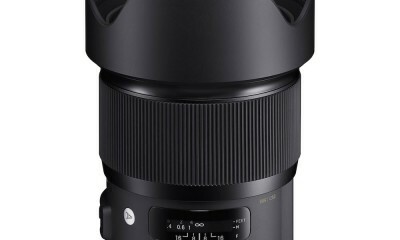 The new FE 70-200mm F2.8 GM OSS lens features a floating focusing system – implemented in an α zoom lens for the first time – that contributes to an impressive minimum focusing distance of merely 0.96m and ensures AF performance is optimized during both still and video shooting. The lens includes a SSM (Super Sonic Motor) plus dual linear motors that work together to move large lens elements quickly – a task that requires a high level of drive control and ensures focus accuracy. The new model also has built in Optical SteadyShot image stabilization for capturing sharp, blur-free subjects at all focal lengths and a rotating tripod mount that allows the camera to be quickly removed from a connected tripod as needed.